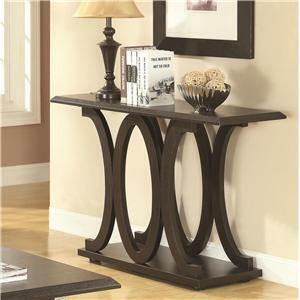 Enhance a living room wall or upholstered sofa with the casual yet chic designs of this sofa table. 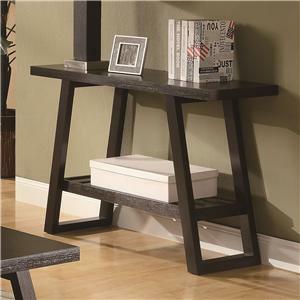 Tall tapered legs and clean defined lines enrich the cappuccino finish, while one large bottom shelf provides room for book or decorative items. 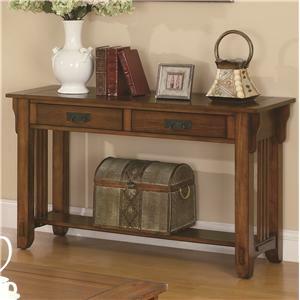 The surface further allows you to showcase favorite personal artifacts and treasures. 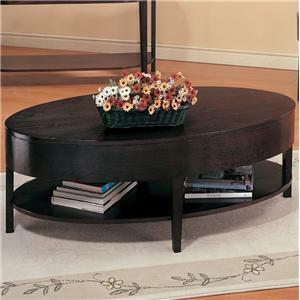 Combined with the matching coffee table and end table for a complete living room look. 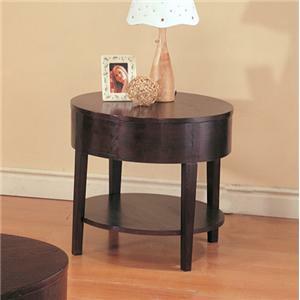 The Gough Sofa Table with Shelf by Coaster at Value City Furniture in the New Jersey, NJ, Staten Island, Hoboken area. Product availability may vary. Contact us for the most current availability on this product. 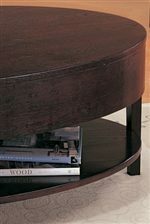 Wood & Finish Wood veneers and solids bathed in a rich cappuccino. Case Detail Clean defined edges and subtle tapered feet. 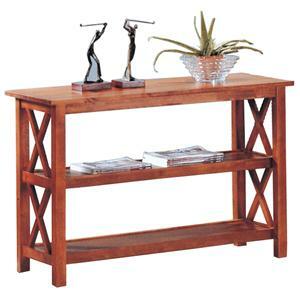 Accentuate your living room decor with the casual contemporary style of the Gough collection. 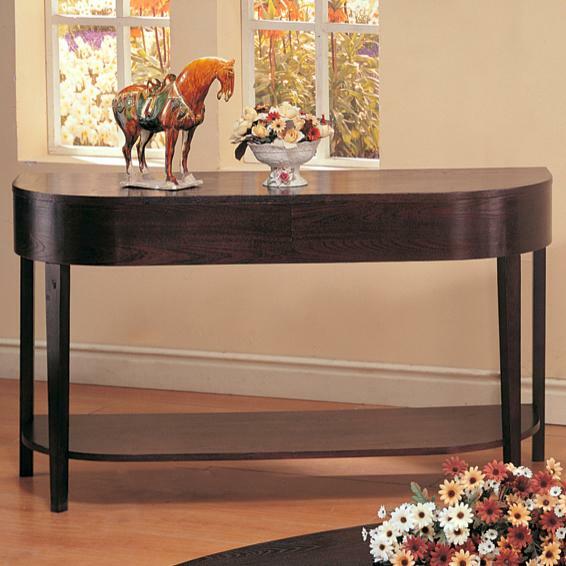 This occasional table group features sleek designs and clean lines, complimenting the rich cappuccino finish. 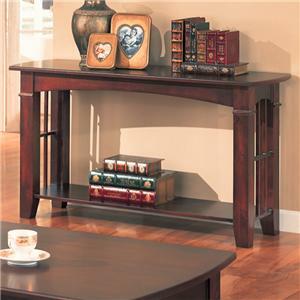 Featuring a coffee table, end table, and sofa table, the Gough collection will bring relaxed sophistication into your living room. 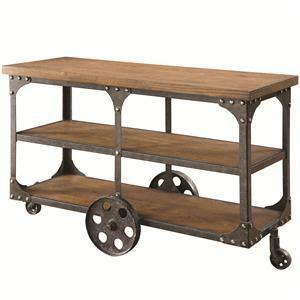 The Gough collection is a great option if you are looking for Casual furniture in the New Jersey, NJ, Staten Island, Hoboken area. 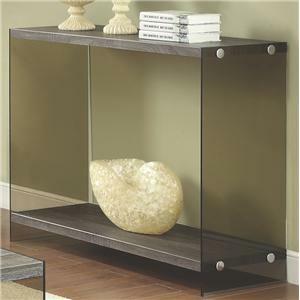 Browse other items in the Gough collection from Value City Furniture in the New Jersey, NJ, Staten Island, Hoboken area.